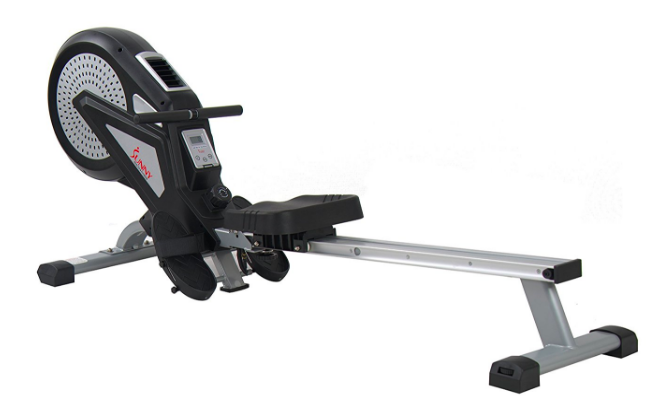 The Sunny Health & Fitness SF-RW5515 Magnetic Rowing Machine is a steal at less than $300. Eight levels of magnetic resistance provide plenty of power for fitness enthusiasts to work with. And, an LCD monitor helps users track their progress. With an all steel frame, this rowing machine is made to last. If you want to get in shape quick, lose weight, and hit nearly every major muscle group in your body: you need a rowing machine. 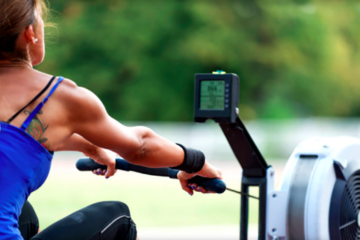 Rowing machines are a great way to get a simple, highly effective workout in and quickly. Keep reading for a closer look at a few of the best rowing machines reviews around for less than $300. For less than $300, it’s hard to go wrong with the Sunny Health & Fitness SF-RW5515 Magnetic Rowing Machine. This rowing machine relies on a magnetic resistance system that gives users to the option of selecting from eight levels of resistance. Resistance is controlled by a large dial right on the front of the machine and can be turned easily while seated on the rower. 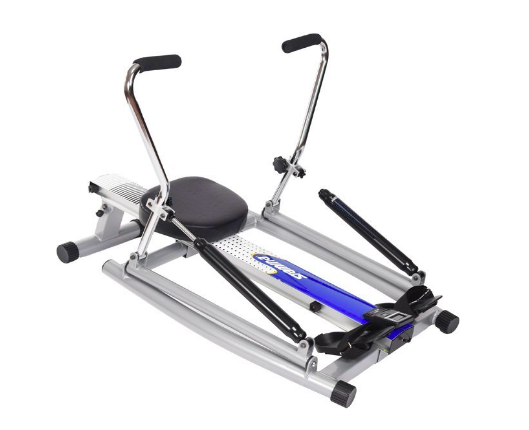 Large, non-slip foot pedals and a cushioned seat and handle make this rower comfortable and safe to use. An all steel frame provides plenty of support and long-term durability. The Stamina 35-1215 Orbital Rowing Machine is a compact rowing machine with plenty of high performance features. Rather than using a single rowing handle or two that work together, the Stamina 35-1215 Orbital Rowing Machine has two handles that operate freely. This allows each arm of the rower to work independently, giving the users a complete and balanced full body experience. The Stamina 35-1215’s handles and seat are padded for comfort and the large pivoting foot pedals include straps to help the user’s feet stay positioned while rowing. With a frame made of aluminum, this rower is designed for both strength and to be lightweight. The arms also fold flat on The Stamina 35-1215, allowing it to be easily stored out of the way when not in use. Another great rowing machine available for less than $300 is the XTERRA Fitness ERG200 Folding Magnetic Resistance Rower. The ERG200 is another magnetic resistance rower. The magnetic resistance provides a smooth, quiet experience. And, with eight resistance levels, there’s enough adjustability available when rowing. Aluminum rails keep this rowing machine on track. While rowing, a large 3.7 inch LCD display keeps users updated on their progress with important details like time, stroke count, calories, and more. One of the great features of the ERG200 is its ability to fold up and be stored easily out of the way. The Sunny Health & Fitness SF-RW5623 Air Rowing Machine is another great choice for rowing machines below the $300 mark. Rather than magnetic or hydraulic resistance, this rower relies on a fan and additional tension from an adjustable belt. The belt provides eight levels of resistance, while the fan will progressively add resistance as it spins up to higher speeds. If you really want to pour on the tension, this air rower is the way to go. The Sunny Health & Fitness SF-RW5623 also has a digital LCD display that provides users with information like time, count, and calories burned. A vent directs air from the fan back toward the user, providing a refreshing breeze as you row. If you’re looking for a rowing machine and want to keep your purchase below $300, look into the Sunny Health & Fitness SF-RW5515 Magnetic Rowing Machine. 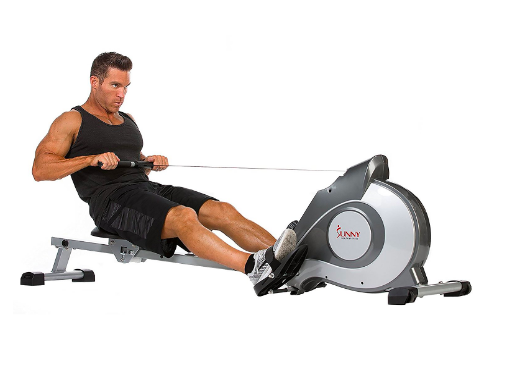 This rower provides resistance through a magnetic resistance mechanism. This system makes for consistent power that can quickly be adjusted with a large, easy to read dial right on the front of the machine. A cushioned, adjustable seat and handle make this rower comfortable and an all steel frame ensures long term reliability and stability while rowing. 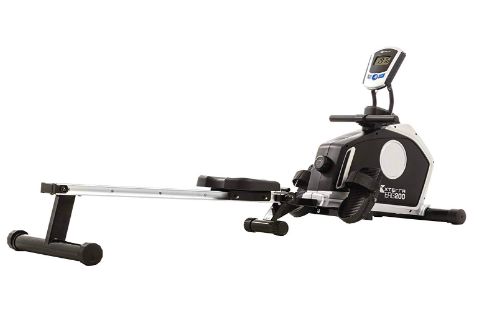 Before you decide on a rower, don’t forget to check out the Sunny Health & Fitness SF-RW5515 Magnetic Rowing Machine.